I have seriously lost count of the number of colds that have passed through my family this past cold season. And every single time, I cringe when I have to take medication or give it to one of my littles (or not-so-little anymore). First, it tastes nasty. Second, who knows what the heck is in that stuff! I usually find myself in the cold medication aisle at the drugstore, looking at medication over and over again, looking for something that might be better for you. Guess what folks? The search is over! Genexa Health has Cold Crush for adults and children. Never heard of it before? It’s okay. I hadn’t either. Until I had the opportunity to review it. Now, I cannot go back. Genexa Health is the world’s first and only USDA certified organic and Non-GMO Project Verified homeopathic over-the-counter medication. Genexa medications are made from healthier, purer products, that definitely made me feel better about giving medication to my daughter. She is my mini-me and I need to protect that little girl to the best of my abilities. The last cold that swept through my house was put to the challenge with Genexa Cold Crush. First, I need to comment on the taste. That is super important, of course. The taste was a slight sweet orangey flavor, not overpowering at all. Next, I never had an awful feeling from taking it. No bad aftertaste, no dizziness, no drowsiness. None of that! 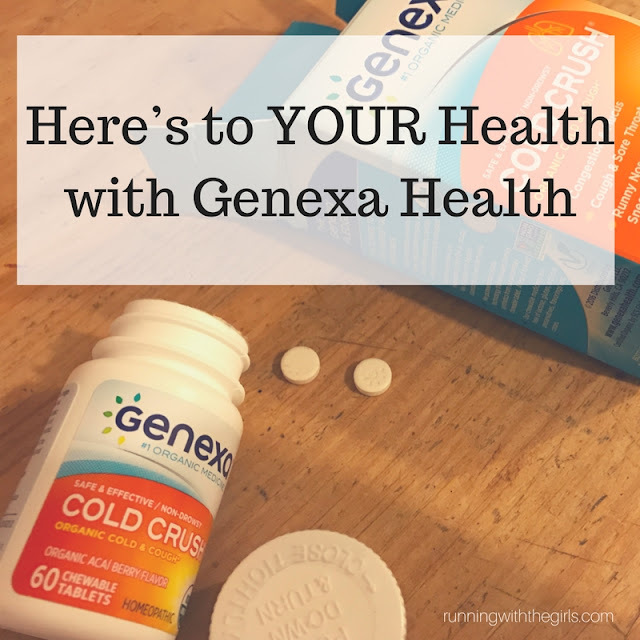 I can definitely say that I felt like my cold symptoms were not as bad while taking Genexa. It definitely helped me feel like an almost-human being, and that’s saying something! Normally, Izzy fights me with medicine. This time, she said, “can I have that orange flavored pill? I don’t want the other stuff.” Poor girl. I hate seeing her sick. Definitely check out Genexa’s 11 products. They make an excellent range of medications to choose from such as medications to help you sleep at night or help you feel less stressed. The next Genexa product I’m going to try will be the Sleepology. I’m heading to Portland this weekend, so I can swing by the GNC and pick some up. To find out where Genexa is available in your area, check out the Where To Buy.